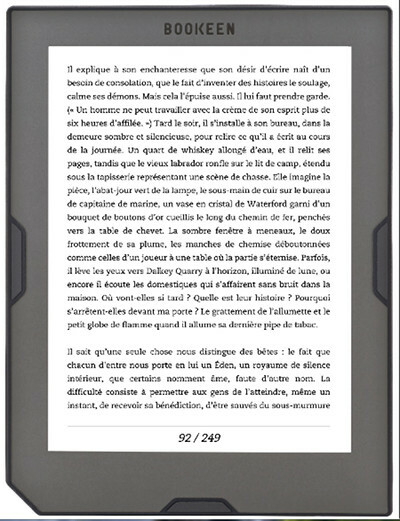 Bookeen, a small ebook reader company based in France, announced the release of two new 6-inch Cybook Muse ereaders yesterday. First up is the Cybook Muse Light. It’s basically the same as Bookeen’s entry-level model but with an added frontlight. Unfortunately it only has an 800 x 600 resolution screen, so contrast isn’t going to be very good, especially with the light on. If you want a better screen, that’s where the new Cybook Muse HD comes in. It has a 1448 x 1072 E Ink Carta screen with 300 ppi. Plus it has a flush glass screen and a frontlight, not to mention 8GB of storage space. Both models have physical page buttons in addition to capacitive touchscreens, microSD card slots, and Wi-Fi. The Cybook Muse Light has a retail price of 89 euros and the Cybook Muse HD is 129 euros. Both are available starting October 20th from Bookeen’s website.